Pitbull-Vienna is a Party, located in Innere Stadt, Wien, Austria. Pitbull Vienna, Austria's hottest bear & butch-run! Real men, wild bears, daddies and chubs, fetish fans & friends. Enjoying a relaxed, bitchy-free, masculine atmosphere... WOOF! Pitbull proudly presents: Megastar MOUSSA from Barcelona and Dimcho our new Mr. Bear Austria. Starting off wild with Teddy Gear… Save the date on 2nd of Novembear! itbull Vienna, Austria's hottest bear & butch-run! 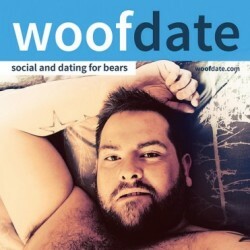 Real men, wild Bears, Daddies and Chubs, fetish fans & friends. Enjoying a relaxed, bitchy-free, masculine atmosphere... "WOOF!" Hallo men! Pitbull's first Sport Special is gonna get you in motion! Wether you're into sportsmen, sportswear, workout or just love to see sweaty butch & bear guys - hot action is coming your way! Joining for an exclusive Pitbull residents night is our dynamic duo Andi Mik & Suki The Bear. Together with our great team they will be your drill instructors - so save the date of April 7... woof!